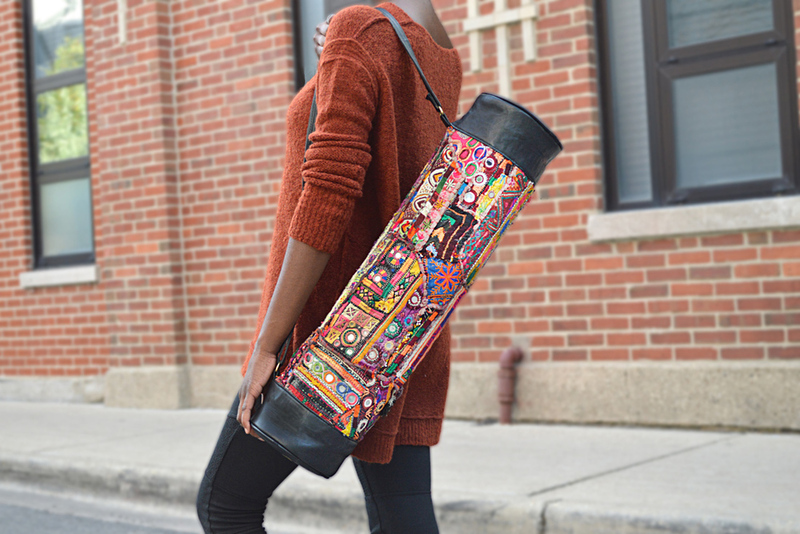 Named after the Banni villages in the arid grasslands of Gujurat, this long leather yoga bag is made of antique hand-embroidered cotton and silk textiles with intricate mirror embellishments. Open grommets on each side allow air to flow inside the bag after yoga class, while it can also be worn cross-body style with the adjustable leather shoulder strap. The name ‘Banni’ comes from the Hindi and Sanskrit word banai, meaning 'made'. Due to their fabulous origin, each bag is truly unique.